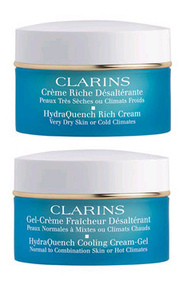 HydraQuench Cream for normal to dry skin in any climate. HydraQuench Intensive Serum Bi-Phase Dehydrated Skin ($56/1oz) – emergency hydrator for when skin feels tight like after washing. I recently discovered Mystic Tanning and like to do it every couple of weeks but I sure do realize how much I need it when I don't have a chance to get over there. Here are a few bronzers and highlighters that help me not look so sullen and pale until I can get over to the salon again. 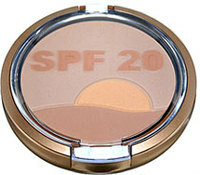 PHYSICIANS FORMULA Solar Power Bronzer SPF 20 ($11.95 @ physiciansformula.com) is made for those who have sensitive skin (take a light hand with this one) and this one protects against UVA and UVB rays. From the Balloonacy collection is the High-Light Powder in Mellow Rave ($22 @ maccosmetics.com) from MAC. It gives a sheer kiss of shimmer and get it quick because it's limited edition so hurry. 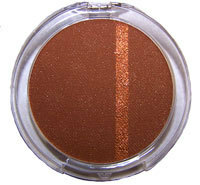 The Glam Bronze Pressed Bronzing Powder ($12.99 @ drugstores nationwide) from L'OREAL's Bronze Rocks collection provides the tiniest of shimmer to formulas. Available in three colors: Golden Lights, Amber Lights and Terra Lights. CLARINS Summer Fever Brush-On Bronzer ($28.50 @ clarins.com) is an on the go tote-able. Each of the available shades, Natural Bronze and Golden Bronze, comes in a tube with a built-in brush. Very sheer powder.